Our “bridge” is falling down. 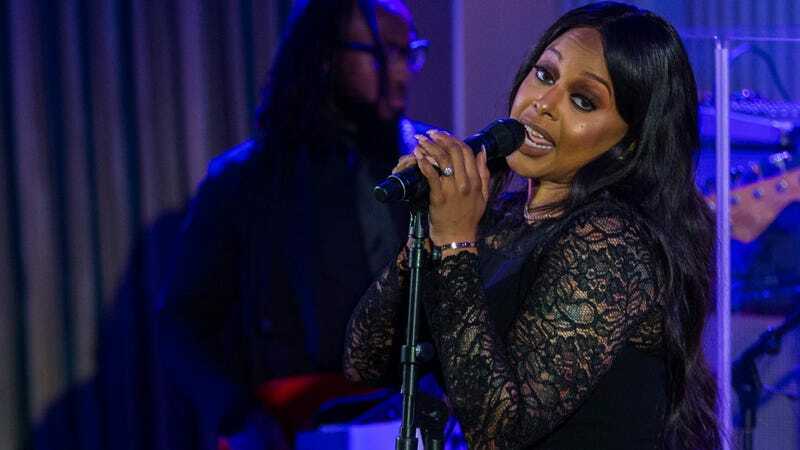 It was only a few months ago that Chrisette Michele peered into an envelope containing a check and proposal from Orange Hitler, chunked up the deuces to the black community and hopped into a limo to be the featured shucker at Donald Trump’s white supremacist takeover bash inauguration concert. Saying she was “willing to be a bridge” to the black community, Michele proudly took the bag of money in exchange for serenading the soulless. Michele also revealed that she had been suicidal and found herself naked in bed lying next to a bottle of Bacardi and a container of Xanax pills (which sounds like the first line of an upcoming mumble-rap song by Future featuring Young Thug). Going all out in the melodrama department, Michele revealed that she miscarried a child during the turbulent period after she chose to sing at Trump’s inauguration. Michele’s post said, “This experience of a broken nation showed itself in my own physical body.” Yeah ... it was probably the unhappiness and hate from the “broken nation” that caused it, not the naked narcotics and rum parties. It’s one thing to be a strong black woman, it’s another thing to be a strong black woman who has to fight against the worst odds. I went from someone being revered and loved to facing putting out an album in the worst climate of my musical career. No victims here. I get it.... But absolutely human here. How hard can you try to break someone? How hard can you try to ruin someone? How much hate do you need to spew to show me you want to see my demise? Are you sure Chrisette Michele is black? Look, lady: We were cool with you selling your soul for a couple of dollars. We watched you ignore our screams for you not to take the envelope. But you wanted to get yours. You can’t double back trying to white-woman your way back into the good graces of the black community after you realize that the “alt-right” R&B market isn’t as strong as you think it is. No one has done anything to you. You did this to yourself. Kick rocks, Chrisette Michele. We don’t need you. We like Cardi B now. Trust me, she will never be a bridge.